Recruiting top talent is just one of the many responsibilities of HR professionals. Even though this is a critical aspect of HR departments’ human capital management, recruiters often don’t use their resources effectively or try to rush through the recruitment process. HR professionals can miss out on great talent if they don’t optimize their hiring process, and this can result in hires who don’t fit in with the company culture or can’t perform up to desired standards. The first step to prevent bad hires is to identify recruiting errors. Determining ways the department isn’t attracting top performers or is inadvertently passing over talented candidates can help HR professionals improve their recruiting efforts and be able to spend more time on their other human resources duties. It’s all too easy for HR professionals to just place open positions on the most common job boards or to post that the company has positions opens on the business’ social media page. However, not representing the company’s brand or developing engaging job postings can be a critical mistake for HR professionals, according to a TLNT post. For instance, ERE.net noted the National Security Agency recently tweeted a message for talented candidates who are job hunting in code. To those who don’t have the skill to cipher the message, it just looks like gibberish. But for those who know how to break codes, it is a message to check out the agency’s recurring job postings. While every HR department doesn’t have to make sure each job posting is unique like the NSA’s, HR professionals need to be sure they are accurate when depicting the company’s internal culture and needed skill sets to get the best and brightest to apply. Human capital is important to every aspect of a company, but too often CEOs and other executives don’t have a hand in acquiring top talent. According to an article in Forbes by leadership expert Joel Trammell, recruiting is a core element of a business’ strategic vision and plan, and it shouldn’t just be delegated to HR professionals. It can be a critical mistake for HR departments not to get executives involved in the recruitment process. While CEOs tend to have large workloads and feel HR professionals shouldn’t need their help, Trammell suggested companies can lose money recruiting talent that doesn’t stick around. HR professionals are knowledgeable about the types of candidates to look for and how to identify the best new hires, but executives have valuable insight into how the hiring process benefits the entire long-term strategy of a company that can’t be ignored. HR professionals should always work with CEOs – whether through monthly or quarterly meetings or by keeping them in the loop about recruiting – to truly identify the best talent during the hiring process. Just because it takes next-to-no time to send out a short Tweet or a quick post on LinkedIn about a job posting, HR professionals shouldn’t automatically think recruiting through social media doesn’t require strategy. 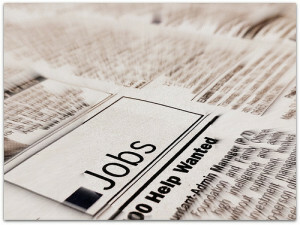 According to TLNT, a successful social recruiting campaign is based on HR professionals having a clear plan in place. Engaging talented candidates on social media takes time, effort and planning on the part of HR professionals. HR departments need to be aware of their recruiting strategies and how they are thinking about the entire process. Determining what is holding recruiters back from finding the best new talent requires HR professionals to understand gaps in their recruiting strategies to optimize their talent acquisition.